There’s been a lot of talking lately about the upcoming The Evil Within and the fact that it will actually fail as a horror game. Even our own Editor in Chief, Marta, wrote an article on why the game can’t scare anyone. But I beg to differ: The Evil Within will actually be a really scary game! Because there’s more to it than catches the eye when watching a trailer, a demo or reading about it. Now, if you are a horror fanatic and live and breathe horror games and movies and books, you might already be immune to many of the jump scares that The Evil Within offers (but the same can be said about most of the other horror products available in the world). Otherwise, I think you will be scared. The horror is there. The tension is there. The narrow and dark hallways where you know anything bad is possible… they are all there. The Evil Within will scare you and haunt you like The Exorcism of Emily Rose or the classic Birds: not because of the monsters which, in some cases are rather hilarious (who still gets scared of “monsters” with boxes on their heads, chains wrapped around their bodies and… ta-dam! CHAINSAWS??? I mean, come on, I’d be scared NOT to see any of these in a horror anything, then I’d know that some twisted isht is going to happen!). The game won’t be scary because of the blood baths – they have never been scary anyway. And not because of the story itself. 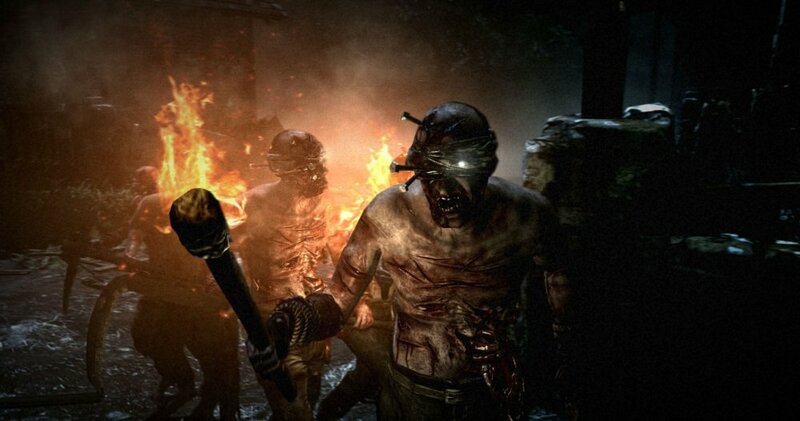 So how will The Evil Within be scary? When I see a long, dark hallway and I know I am in a place infested with monsters, I am instantly afraid. When there’s a flickering light there and I have to take a turn, I am terrified. The (actually uninspired) music of the game turns into silence and the only thing I can hear is the sound of the heart beating: mine, not the character’s. We’re talking about atmospheric horror here and no matter how cliche are the long, dark hallways with flickering lights and jump scares awaiting around the corner, you will be scared. It’s human nature and no matter how many times you’ve taken virtual characters through the same path, you will be scared. You will feel the pressure, your brain will keep you alert, expecting the unexpected. You know that something will happen and you’re trying to prepare for that. It’s the exact reason why you’ll get a scare when it actually happens: you know it will, you just don’t know when. It’s always a surprise. And The Evil Within is not only about long, dark hallways. 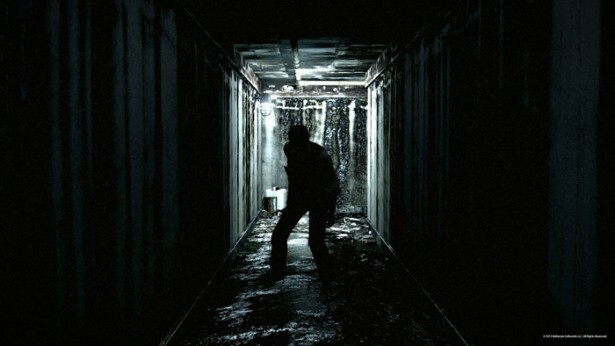 It’s about sneaking and hiding, too, among other things: elements that can also have the potential to be really scary when you are already a couple of hours into the game and completely immersed within the story. It might not sound like this when you’re watching a trailer or when you’re reading about it, but when it actually happens and you are actually there, getting closer to the screen and holding your breath when you sneak behind a huge monster, hoping he won’t see you… well, now that’s when things actually change and what might seem like a not-so-scary feature becomes real horror. Because, in the end, this is what the real horror games and movies have that separates them from the rest: the atmosphere, the pressure that you feel at all times, the constant fear that something unexpected and twisted might happen. Take the example of Slender Man: if you were to describe the game to somebody who never played it, that person would probably consider you crazy for consider it scary. But once you get into the game and start feeling the pressure and when eventually the Slender Man appears, then you really know that the game IS actually scary. I believe that the same goes with The Evil Within. Trailers can’t scare you, because you’re not there. You are not controlling the character. You are not feeling the pressure. You are not IN the game. But once you do all these, you will be scared!